Grand Theft Auto V (short GTA V) is a multi-platform video game in the genre of action and the "open world", developed by Rockstar North and published by Rockstar Games. It is the fifteenth game of the Grand Theft Auto series. The debut trailer was released on November 2, 2011, and the announcement of the game itself took place the next day, November 3. The release of the game was originally planned for the spring of 2013, but was postponed to September 17, 2013 for Xbox 360 and PlayStation 3. At the E3 2014 the game was announced for consoles of the eighth generation (PlayStation 4 and Xbox One) and personal computers on which the output of the game was held on November 18, 2014 and April 14, 2015, respectively. 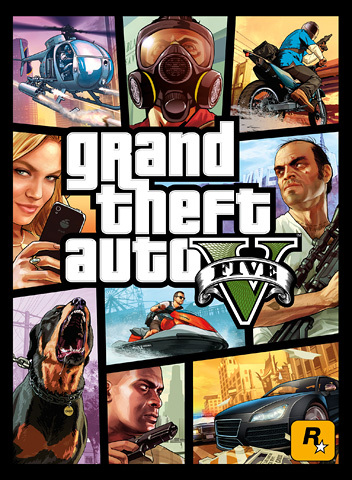 In Russia and the CIS Grand Theft Auto V is published by 1C-SoftKlab. Developers from Rockstar Games said that at the time of the release of Grand Theft Auto V is their biggest and most ambitious project with the largest open world they created.